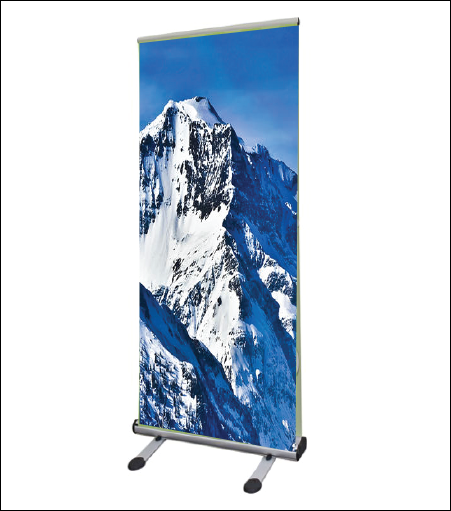 The Sierra Lite Outdoor Retractor Banner Stand has removable feet that attach securely to the base to provide extra wide stability. Spring attachment at the pole base allows extra wind resistance. Banner attaches with snap rail on top and banner tape on bottom. Almost 1/2 the weight of the original "Sierra". Can be used as single or double faced.